The Greatest Homecoming On Earth just got greater. 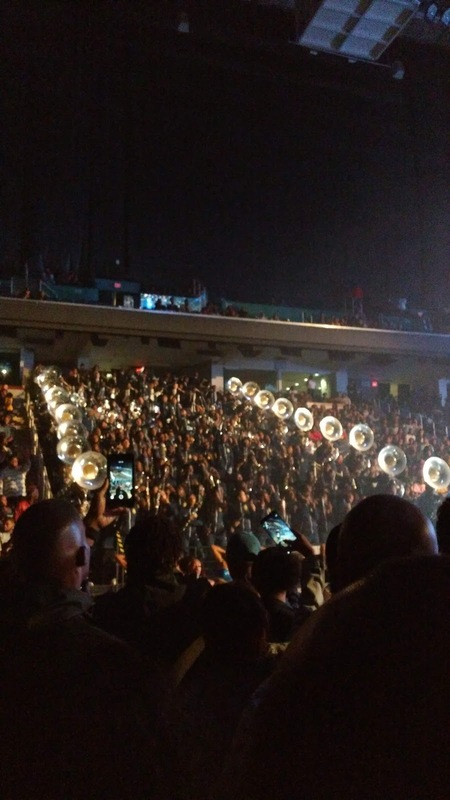 Earlier this month, North Carolina A&T's homecoming added a new element. 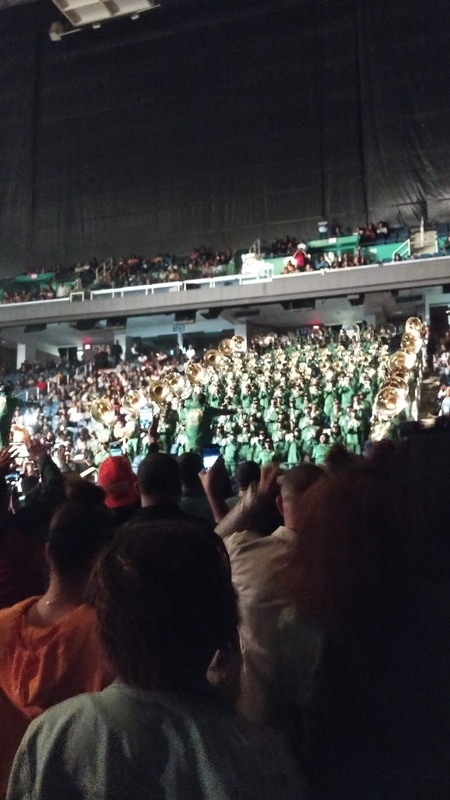 Dubbed "The Battle and the Blowout," the Friday night slot typically reserved for the step show became a combined step show/battle of the bands, featuring A&T's Blue and Gold Marching Machine, and their homecoming opponent Norfolk State's Spartan Legion. While there was never a question as to whether I would attend, I was intrigued by how exactly they planned to combine the two. For those who don't know, by day I'm a fraternity and sorority life advisor, and for far longer, I've been a fan of the art of stepping, so I was there for the combo. 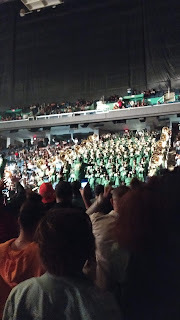 Still, it was clear from stepping into the arena that no one, myself included, was there for the step show portion. And if that was the sentiment throughout the arena, it was twice that where I sat - the "Heathen Section," with The 5th Quarter's co-founder Christy and many more 5th denizens. After entrances, A&T began the opening salvo in a move that seemed counterintuitive but well planned. By playing first, the Aggies let Spartan Legion call their shot in the first volley, and the green and gold definitely brought it. The set up for the round was two volleys, so with a A&T/Norfolk/Norfolk/A&T format, BGMM ensured they'd use their home field advantage to bat last. Then there was a commercial break, or rather step performance. The bandheads took it as exactly that, so much as hitting the concession stands and freshening up drinks. We would receive just three such impositions - Phi Beta Sigma and Sigma Gamma Rho competing, and Kappa Alpha Psi in exhibition. To A&T's credit, they were committed to the seamless integration of bands and stepping, and planned their programming accordingly. 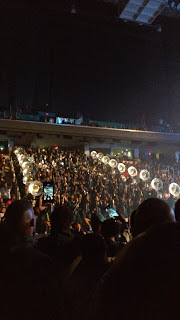 In the section battles, both Golden Delight (auxiliary) and Cold Steel (drumline) put together programs that followed a step show style format, with Golden Delight using a NASCAR theme and including video as so many step shows do these days. Spartan Legion either didn't get the memo or chose not to play along, instead bringing what they would to any matchup. While there's no doubt A&T's homecoming game will always feature a battle of the bands as long as there's another band in the stands, a format that brings it to a standalone (or mostly alone) ought to remain a GHOE mainstay.